ELECTION 2016: FOR THE LOVE OF FACEBOOK, MAKE IT STOP! I spent the first half of this week sick in bed with little physical or mental tolerance for well… anything. Between work and personal life, I normally spend a significant amount of time online on Facebook, Twitter, and Instagram. But this week? I barely touched it. At the most, I would pick up my phone and open the Facebook app immediately out of habit (Damn that muscle memory!) and quickly close it before I got sucked into the abyss. I know what you’re thinking. I LOVE social media. It’s my life. How could I, of all people, want to avoid Facebook? Seriously, people. I get that the future of our nation is important, but can we give it a rest? As of today there are 282 days left until Election Day. I don’t know about you, but I don’t relish the thought of 282 more days of anger, hatred, and pointless Facebook fights. I mean, social media isn’t just a pastime. It’s my job. So how am I going to survive this? That’s right. If you didn’t already know, Facebook has this really great option called UNFOLLOW. Don’t want to see anything from that weird cousin who LOVES Trump and his hateful comment of the day? 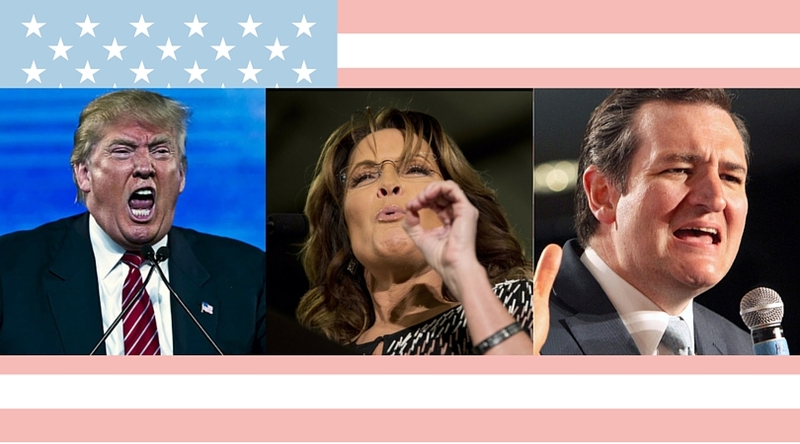 Have you had your fill of that co-worker who posts ALL of Sarah Palin’s crazed ramblings? Are you even tired of that friend who shares far too many articles about your own political party? The point is, your Facebook News Feed is yours. No one else’s. It’s yours. So if you are feeling overwhelmed by the posts of any friend, no matter how close you may be in real life, then why should you continue to put up with a barrage of posts that bring you stress? Just unfollow those friends. No, you’re not unfriending them. No, they won’t get a notification to let them know you have unfollowed them. You are, however, choosing to take control of what you see when you log in to Facebook. I would venture to guess that none of us log in to Facebook hoping to get mad or frustrated. So why keep letting that happen? If you are already following the friend (which you probably are), simply click the drop down arrow by FOLLOW and select UNFOLLOW. Click the dropdown arrow in the top right corner of the post. Select UNFOLLOW (FRIEND NAME). As the prompt says, you’ll stop seeing posts but stay friends. In any case, you can still see their posts at any time by going directly to their profile and reading at your convenience. All you really do by unfollowing is remove their posts from your News Feed. Again, your News Feed is yours. Isn’t it time you reclaimed it and made Facebook a happier experience again? Now if you’ll excuse me, I need to go purge my News Feed of everything about Martin Shkreli. Ugh. Have you used UNFOLLOW on Facebook? If YES, what made you do it? What’s the Big Deal with the Chewbacca Mom?